Snow monkeys! 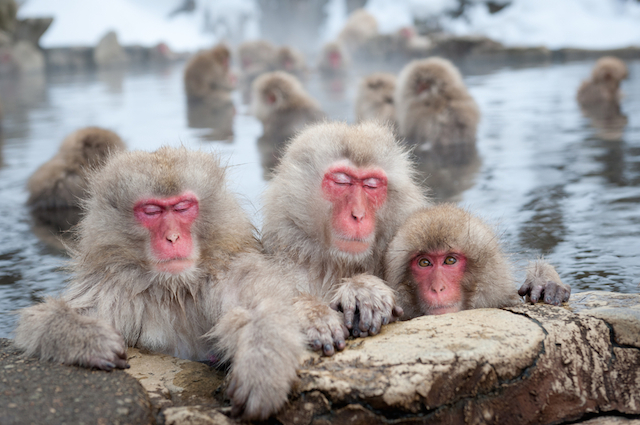 Monkeys that bathe in the hot spring !? It is the famous spot where a wild Japanese monkey enters the hot spring. It is the popular sightseeing spot which approximately 100,000 people a year visit. Called “Snow monkey” from an overseas person. 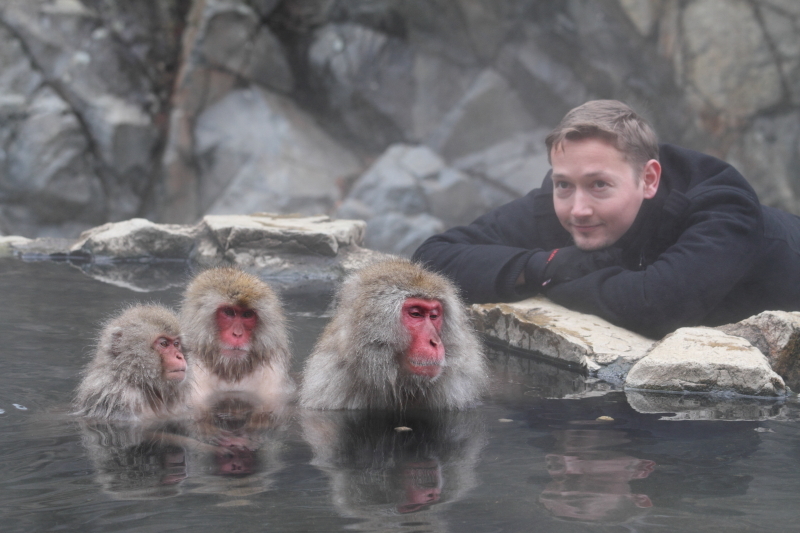 It is interesting that the world northernmost monkey enters the hot spring !! It is the world only place that a monkey enters the hot spring. A tourist can observe a wild monkey even if I do not enter the heart of a mountain. Altitude around here is approximately 850m. Is covered in winter by deep snow; more than 10 degrees Celsius below-zero as for the minimum temperature. The monkeys go down the mountain to get over severe cold and enter the hot spring. The monkey of the child who was full of curiosity entered the hot spring for the person at first. The monkey of adult to see it imitates it and enters. “The outdoor bath for exclusive use of the monkey” was equipped with afterwards by the hygiene side. 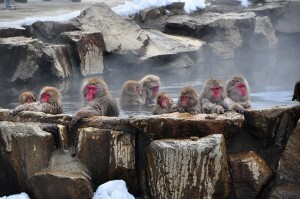 As for the monkeys, an act to enter the hot spring is inherited. It would be comfortable to enter winter cold time in the warm hot spring. I observe the animal which entered the cage at the normal zoo. But it is reverse here. A human being enters the place where Japanese monkeys inhabit on nature and can observe it. A human being visiting the important thing in nature that monkeys inhabit. 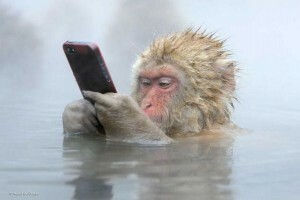 The photograph of the monkey having a smartphone became the topic. Because there is the constant distance with the human being in wild animals, I can observe a plain figure. Let’s follow a rule and a manner. The way following the Jigokudani parking lot is blockaded in winter from Shibu Onsen during the period. If there is the ticket of the access from the free parking lot of Kanbayashi Onsen or the minibus, I can go in a short time. Let’s go after checking an access method well.